With a growing list of luxury hotels, ambitious expansion plans, and even a set of custom-made islands, Dubai has come a long way since its origins as a small fishing town. With more than 1,000 km of coastline, the desert city is making waves as one of the world's best new beach escapes. Regardless of the season, here are 6 reasons why you need to plan a beach holiday to Dubai. Dubai is also one of our top choices for an Eastertime break; check out all of our amazing Easter deals for more. 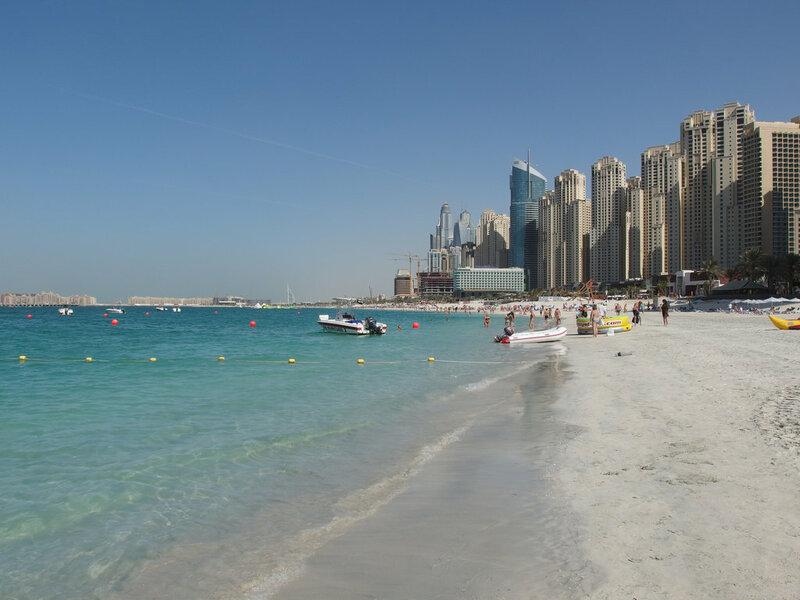 With 300 days of sunshine every year, nearly every day is a beach day in Dubai. The average temperature ranges from 40C in the summer to 25C in the winter, while the maximum rainfall reaches only a few centimeters in even the wettest months. Plus, the crystal-clear Persian Gulf waters are always warm - meaning you have no excuse for staying on the sand. Dubai is home to the world's largest artificial island, the Palm Jumeirah. Built between 2001 and 2006, the well-heeled residents and visitors enjoy white sand and ocean views from mansions and 5-star hotels on the palm-tree shaped island accessible by a private bridge or monorail. With development finally speeding up on the World Islands, an archipelago of 300 islands in the shape of the globe, more boat trips to private beaches will soon be in order. Looking for a standard seaside escape? Dubai goes above and beyond the standard. Nasimi beach, for example, has full canopied beds for the ultimate in outdoor lounging by day. By night, international DJs take over the space to ensure that all the energy you saved by relaxing in the sun can be used up on the dance floor. Others, like the exclusive Eden beach club offer private cabanas and personal Jacuzzis to turn up the heat even more. While Dubai has gorgeous private club options, you can also work on your tan for free. Dubai's major investment in tourism means that upkeep of public spaces is high on the list of priorities. 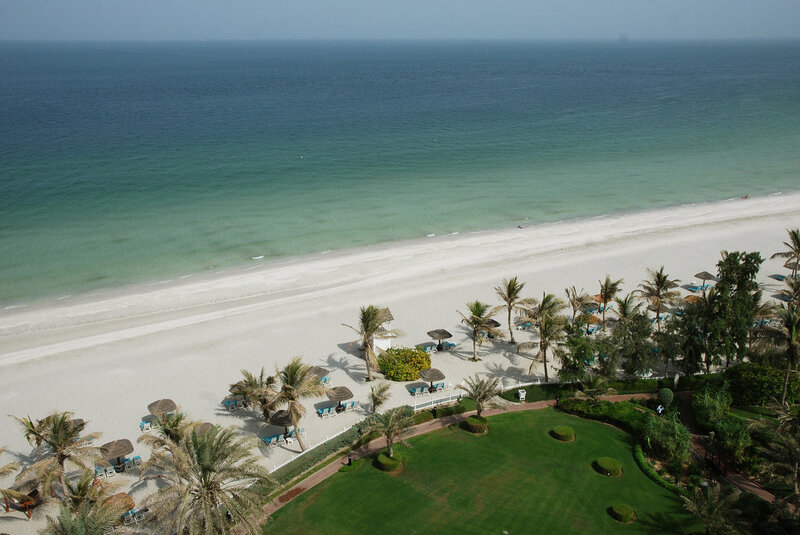 Umm Suqeim Beach is a quiet free beach beyond the bustle of the luxury hotels in Dubai. Its west-facing shore makes it the best place in Dubai to watch the sunset. However, if island views are more your style, the free Al Sufouh Beach offers a secluded escape with views of the Palm Jumeirah. But the best local atmosphere can be found at Jumeirah Open Beach which has a promenade full of boutiques and ice cream stands. Dubai's beaches can be an oasis of calm, but with the neon lights twinkling as dark falls, it should come as no surprise that a vibrant nightlife lays waiting. 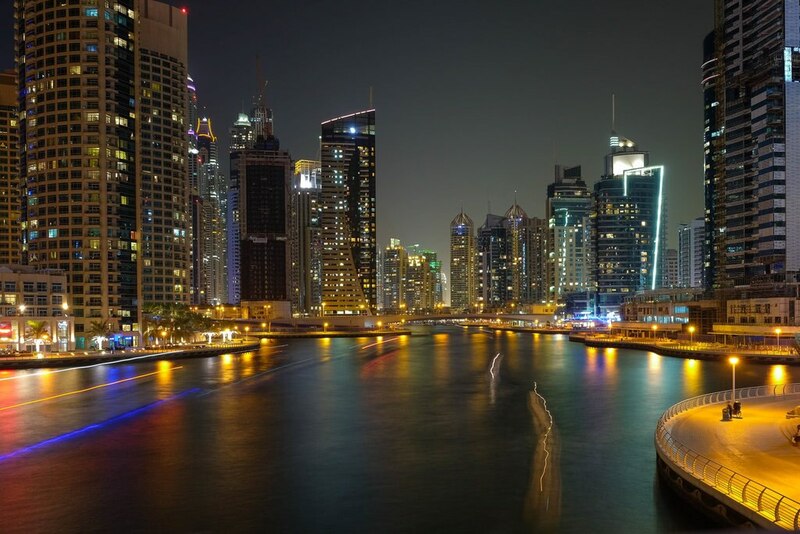 Ranging from beach-y bars to swanky lounges, Dubai's nightlife has something for everyone. With international clubs like Blue Marlin Ibiza opening up locations in Dubai, the scene is quickly becoming one of the best in the world. When you tire of too much sun, head inside for a day of pampering. Dubai's numerous spas seamlessly blend the best hammam touches with modern amenities. Opt for a sultan's massage and recover in style in private hydrotherapy pools or mosaic-covered infinity pools. For more, check out things to do in Dubai.